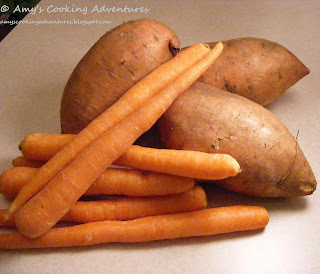 Pureed sweet potatoes are carrots are a staple in my cooking. 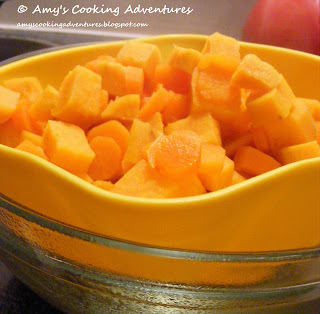 You will often see them referred to in recipes by “orange puree” (a Sneaky Chef term). However, I am now using them for another purpose. 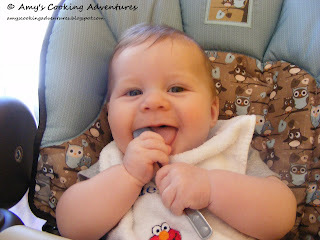 That’s right, the little guy is starting solids and this simple puree that I use in recipes is also a simple and nutritious homemade baby food! Note: if using as a baby food, be sure your baby has eaten carrots and sweet potatoes separately first with no adverse reactions. There are no precise measurements for this recipe because it really depends upon how much you want to make! 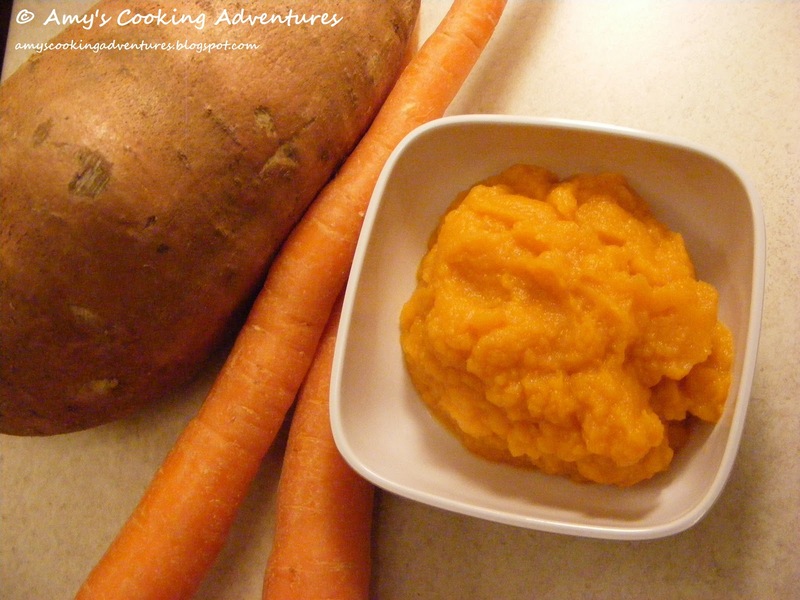 I recommend using equal amounts of sweet potatoes and carrots in your puree, but if you have a bit more of one or the other, it’s fine! 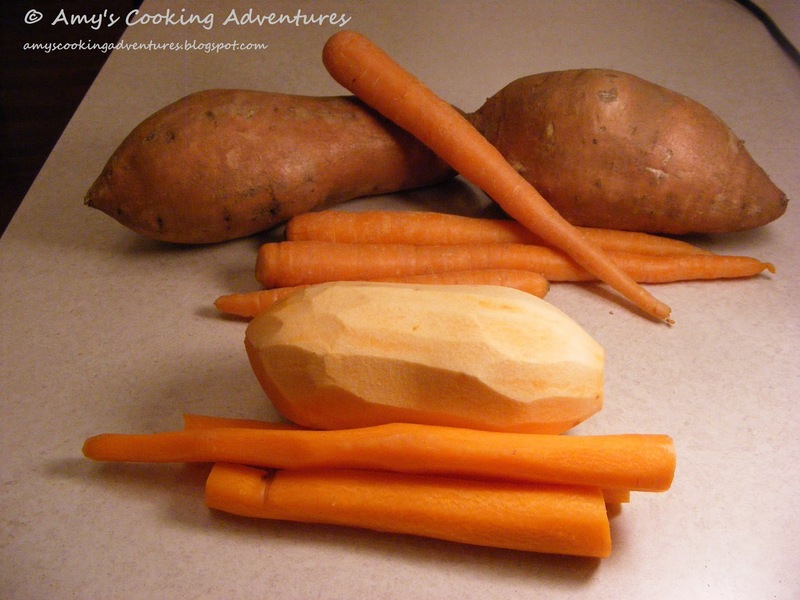 Just for reference, one medium sized sweet potato is equivalent to 3-4 carrots. This amount, once cooked and pureed will yield approximately 1 cup of puree. Wash and peel the sweet potatoes and carrots. 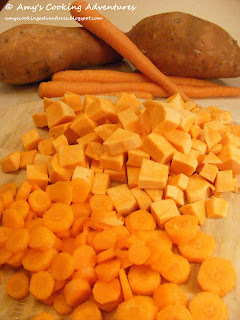 Chop the vegetables into equal sized pieces (so everything cooks evenly). 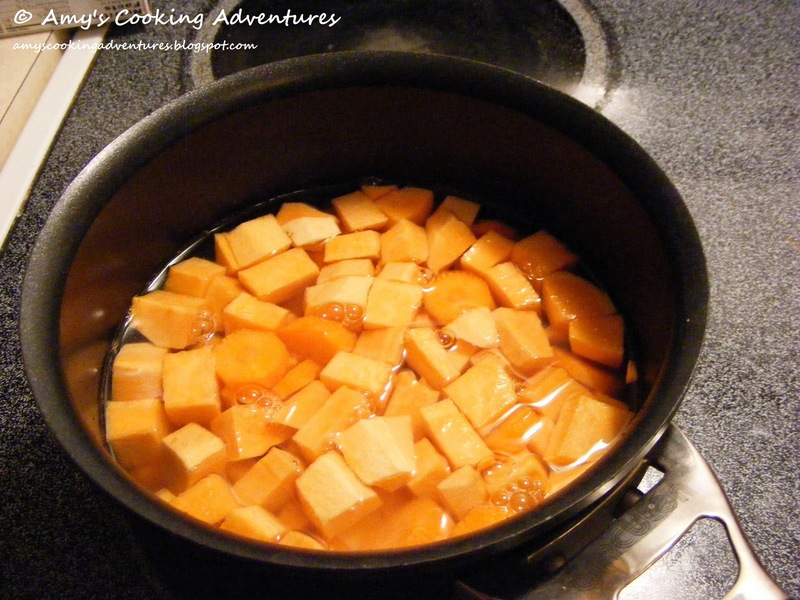 Place sweet potato and carrot chunks in a pot and just cover with water. 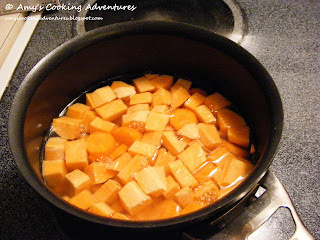 Bring water to a boil and simmer for 20 minutes or until sweet potatoes and carrots are very tender. Drain the vegetables, reserving the cooking water. Allow the mixture to cool a bit. 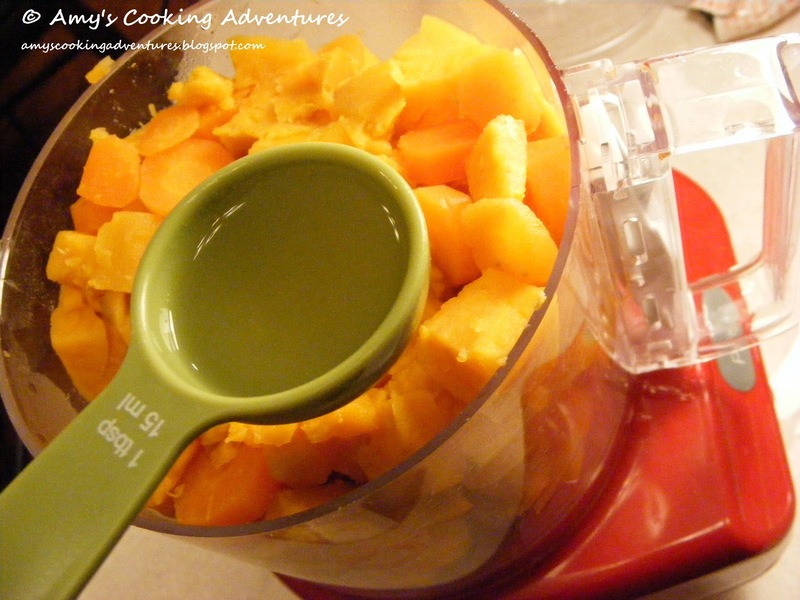 Transfer into the bowl of a food processor. Add some of the cooking water into the bowl of the food processor (for a small batch, start with 3-4 tablespoons). Pulse the mixture until very smooth. If it is not getting smooth, add more water, 1 tablespoon at a time, scraping down the sides of the bowl each time. Note: you want the mixture to be smooth, but not runny, so use the water sparingly. 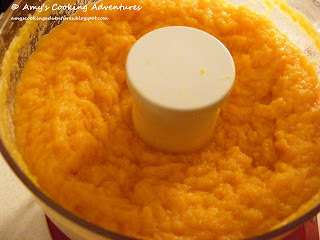 Measure the puree using a 1/3 cup measuring cup. Transfer to zipper bags (or small containers). Label and freeze. 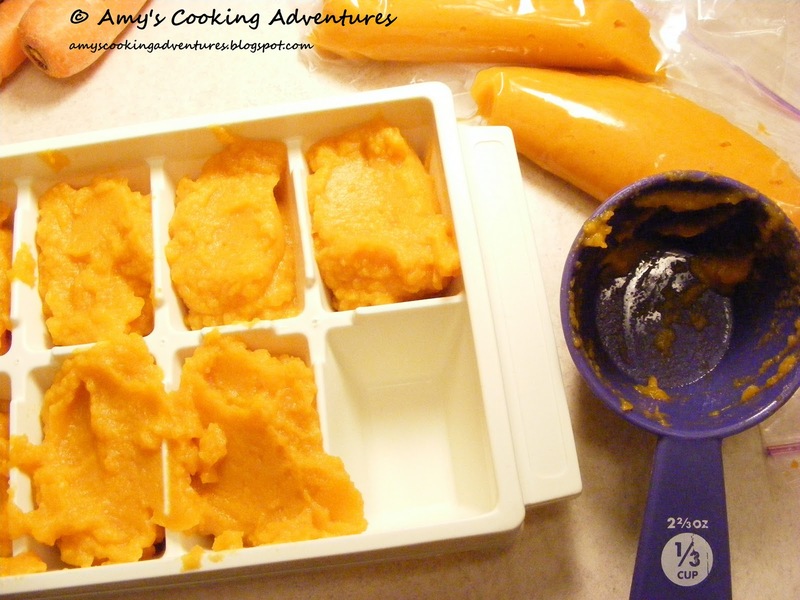 Portion puree into ice cube trays. Cover with plastic wrap and freeze. Once the cubes are completely frozen, transfer them to a labeled freezer bag. Either way, use within 3 months. 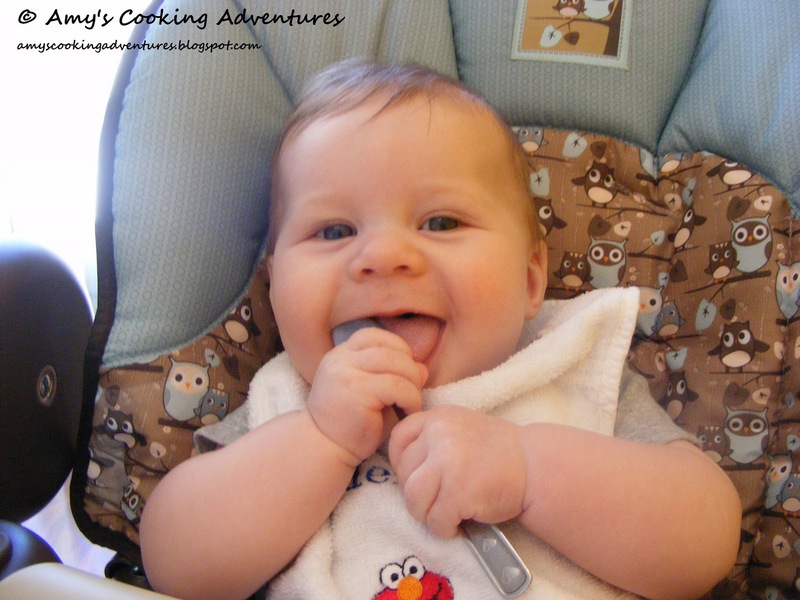 That is such a great baby food recipe! I love stuff like this, I did that with my son but didn't have my blog at the time so I didn't save any of them! Thanks! And your son is a cutie!